Cambria Washington: knitwear & patterns: Nola Cloche: secret knitting revealed! 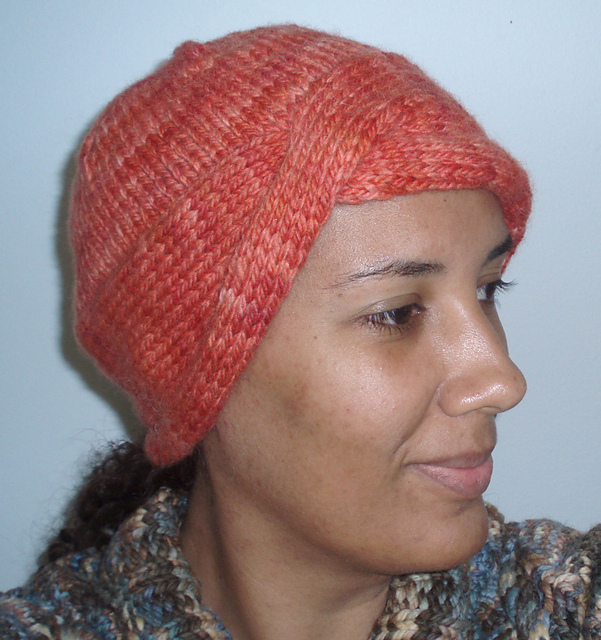 This my friends, is my completed test knit sample for the Nola Cloche, by Hillary Smith Callis aka The Yarniad. She put out a call for testers and I just had to jump on it because she makes the best accessories! I love her sweaters too, but I seem to be drawn to the accessories. Anyway, I tested the chunky version of the pattern (it comes with instructions for chunky and worsted, both in three different sizes). 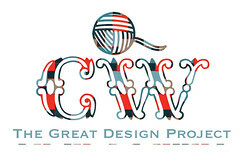 It was a good way to use up that skein of yarn I took home to swatch with, for a design that died on the drawing table. I learned a few lessons from that experience, like "never accept a call to design something you would never otherwise design, for a specific group, because if things change for them you'll be left with a partially-done design for something you'd never make in a million years". I lost a day's work on that one, but it's okay because I found a way to re-purpose the yarn into something usable! 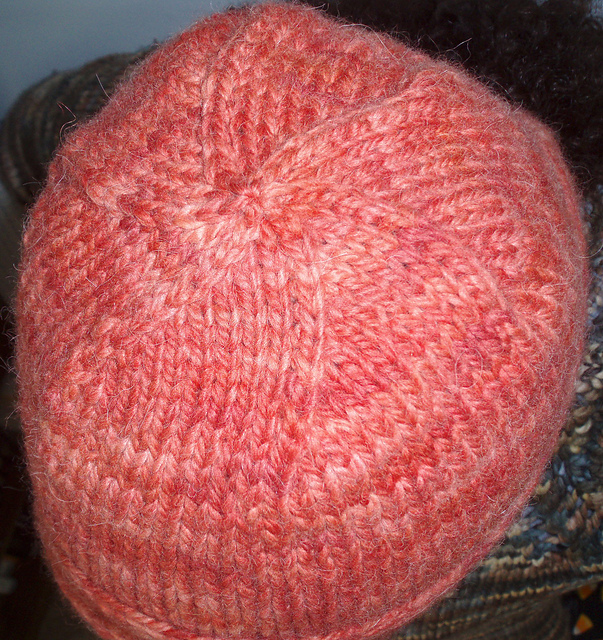 Here you can see the pretty, swirly decreases at the top of the hat. I think they would stand out really nicely if you selected a yarn with 4 plies. My yarn is a 2 ply so it didn't pop as much as I hoped. However, the pretty tonal quality of the yarn made up for the loss of stitch definition. 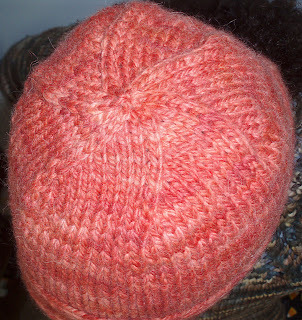 I used a skein of Misty Alpaca Tonos Chunky in Salmon. 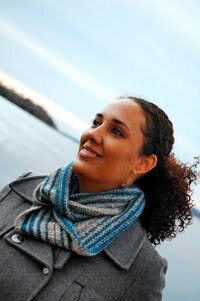 I've used the Tonos line of yarn before in my Julissa sweater and I've enjoyed working with it both times. I just love how the colors play out, and the half alpaca/wool blend makes it soft and warm. 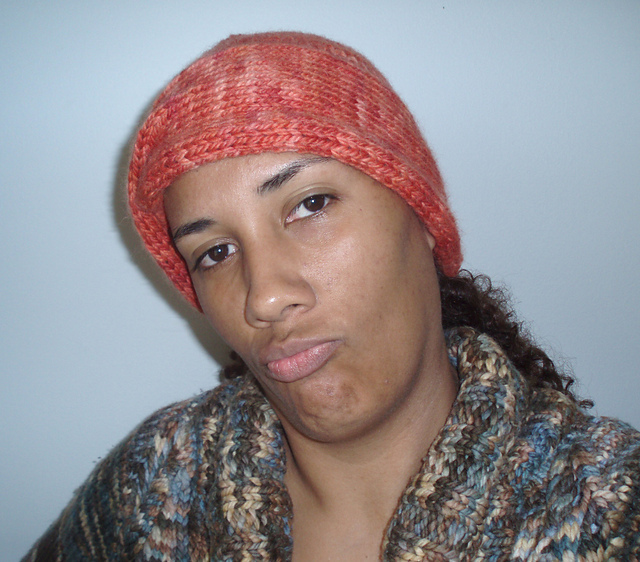 Believe it or not, I got this hat out of one skein but it was really tight! I had about a yard left over. And finally, here's a fun, sarcastic photo that I took of myself for your viewing pleasure. I know you've all seen this pose. The one where a girl gets all dolled up and then takes a photo of herself at a strange angle that somehow manages to allow the camera to look down the front of her shirt while still getting her face in the shot. The famous one with girls who are bleached too blond and are wearing shiny gloss over dark liner. You know...The Duck-Face. Lips pursed way, way out. Here's my take on the now classic Duck Face.